Because of the zombie myths of the antivaccination world, myths or papers that are reanimated every few months because the vaccine denier community actually lacks any fresh evidence to support their nonsense. So Doshi’s paper from 2013 is resurrected in the antivaccination press. A few days ago, an obscure pseudoscience promoting website started banging the drum about Doshi’s comments. 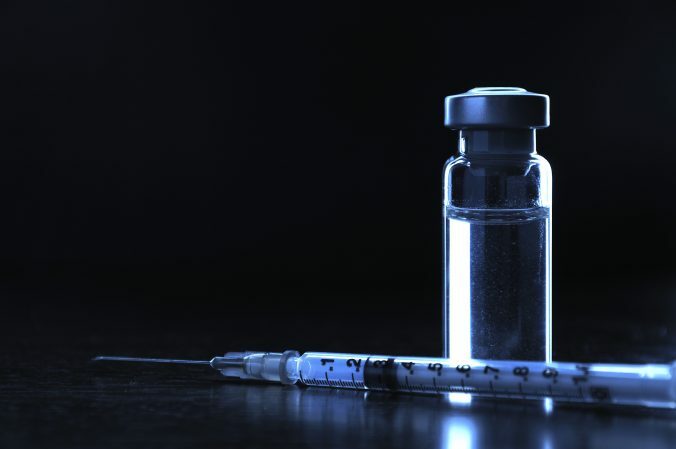 The article, found in the Realfarmacy website, has this scary headline: “Johns Hopkins Scientist Reveals Shocking Report on Flu Vaccines.” Makes it sound like Doshi wrote another article. Which he didn’t. As result of that website (and probably others), my original article about Doshi exploded on the internet. In fact, if you Google “Peter Doshi flu,” some of the top Google hits are my aforementioned article, one on the Poxes Blog (go read it, it’s good), the PubMed link to Doshi’s article, and something on Snopes (I had no idea that it was on Snopes until I did the search). And because of the high Google ranking, I got boatloads of hits to the article over the past 10 days or so. In fact, so many that it is close to being the most popular article I’ve ever written. In a private conversation with the author of the Poxes Blog, a real, trained epidemiologist with a real epidemiology degree with real clinical and scientific work in real epidemiology, experienced the same huge increase in hits. He even wrote an article about the explosion in hits to his Peter Doshi, not-an-epidemiologist, posting. What this means is that people aren’t taking the pseudoscientific, shock headlines from Natural News wannabe websites as scientific dogma, and going to Google for more information to fill in the blanks. And I guess writers like me and Dr. Poxes Blog are getting lots of eyeballs looking for confirmation. But really none of this matters. All that matters is that the antivaccine world lacks evidence for their lies and misinformation, so their only choice, their last choice, is to rely upon the Argument from False Authority logical fallacy. Basically, this fallacy states that an authority, whether they are or not, speaks the “truth” on all matters, and can be used as evidence in a discussion, because they are an authority. But in real science, the only thing that matters is published evidence. That’s it. Science is not a debating society where snarky arguments trump evidence, only evidence can frame the discussion. Now this doesn’t mean that there are no authorities. In fact, one can be an authority in a specialized field because they have published extensively. Neil deGrasse Tyson is an authority on astrophysics. His education is in that area. He’s published in that area. He’s an expert, and if he says Pluto is not a planet, who am I to argue with that, especially since he’s published about that. Why do these credentials matter? Because they imply many things–a broad education in the science of the subject matter, hard work in the minutiae of that field of science, and approval by one’s peers. Getting a Ph.D. in epidemiology is not simply taking classes, but it’s actually doing research in the laboratory and field with a published thesis that is reviewed by numerous scientists, some of whom may not be in the specific field (to give some unbiased eyes to the research). Let’s be clear–Doshi does not have formal training in epidemiology, microbiology/virology, immunology or any other area of biomedicine that would make him an “authority” on the flu vaccine. Doshi is an anthropologist who studies comparative effectiveness research. Doshi never engaged in influenza or flu vaccine research at Johns Hopkins or at his current location, the University of Maryland. More importantly, Doshi’s flu article was essentially an opinion piece, not an original research article with original data derived from experimental research–in fact, the paper did not report any new findings. Lastly, Doshi did not represent Johns Hopkins University, not even in the wildest stretch of the imagination. 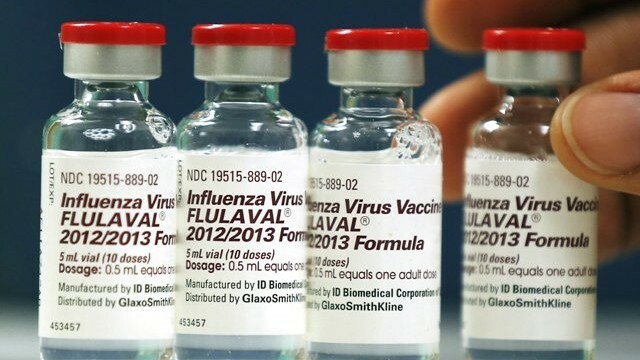 Ironically, Johns Hopkins Hospital, the flu vaccine is required of all personnel who have contact with patients, as a good-practices effort to minimize the risk that a patient will catch the flu from a caregiver. Thus, if Doshi had any contact with patients, which he didn’t, to uncover some mysterious data about flu vaccines, he would have been required to actually get the flu vaccine. Let that sink in for a bit. My irony meter just broke again. But it gets worse as far as virology goes. Peter Doshi denies that HIV causes AIDS. Unless you’re an AIDS denier, the science that HIV causes AIDS is so overwhelming that I’m frankly shocked that anyone would deny it. So, here’s the point–how can someone be considered an expert in the exact subject of vaccines, when they can’t even get the basics right. Quite the small subject to dedicate 4-8 years of one’s life to; yet, that is the life of a modern scientist, for better or worse. The life sciences are among the most specialized of fields today. In biotechnology, to name just a few, there is biochemistry, bioinformatics, chemistry, molecular ecology, and microbiology. Just these few involve the further specializations of virology, bio-mathematics, epidemiology, and dozens more, which in themselves involve the specialist jobs as diverse as biochemists, biophysicists, bio-technicians, and epidemiologists. How can an hour, day, month, or year at the ’University of Google’ contend against that? Here’s the major issue with Doshi–he has no knowledge, training or expertise in these highly specialized fields, yet he pontificates in a manner that makes one believe he is. It takes years to be an expert in virology, not overnight by reading a virology website on the internet. But if you have nothing, no evidence, then just make random claims, and convince a group of gullible people to accept those claims because someone like Doshi has a Ph.D. (though it has nothing to do with anything close to vaccines). One does not necessarily have to be an expert in a field to speak with authority about a subject. But if there’s a consensus of a large number of experts based on high quality evidence, then the only way to contradict that consensus can’t be with logical fallacies but with a nearly equal (or substantial minority) of data that supports the contradictory side of the discussion. A scientific consensus is formed when the majority of the experts described in #1 are in agreement. This doesn’t happen by a vote, it happens over years or decades, as evidence accumulates. Yes, a consensus can be overturned, but again, it’s not done through the Harvard Debating Society, it’s done via publication of a large number of papers that describe a new principle of science. These experts who come to a consensus ought to know more than the lay public or false authority figures. That’s because they rely upon high quality evidence. They do not accept anecdote as data (nor more anecdotes as more data). The data is nearly always published in peer-reviewed articles that are available publicly. The data is almost always replicable, meaning data from one laboratory or study can be replicated by another laboratory or study somewhere else. Finally, real scientific evidence must be falsifiable, that is, one could conceive an experiment that can provide contradictory evidence (it does not mean that it’s actually falsifiable, just that there’s a way to test it). Testing (or falsifying) a hypothesis is not simple. Doshi just can’t say that HIV doesn’t cause AIDs or that the flu vaccine does not prevent influenza without actually providing rigorous scientific evidence in the form of experimentation. This is especially true if someone like Doshi, who chooses to stand in the face of the scientific consensus–he can only do this with actual real data based on real research in a real field of vaccines. Doshi fails miserably here. Peter Doshi will never be on the National Academy of Sciences, because he lacks the intellectual rigor of a real scientist. He’s going to sit in his office at the University of Maryland babbling about economic rationales for medication use, a highly important field of interest to helping Big Insurance manage health care costs. But unless he quits, gets a Ph.D. in epidemiology (and given that he already has a Ph.D., at least he knows how hard it is), then get real research done in real vaccines, all he is an Argument from Authority to be used by vaccine deniers, because they have nothing else. Peter Doshi is not an authority or expert in vaccines. He studied the history of science. Interesting field, but not a hard science. Peter Doshi is an HIV/AIDS denier.